Electric Automatic gate repairs Epping.Automatic gate repairs,Epping installation including BFT,CAME,FAAC,NICE,SEA,VIDEX,CCTV, radio gate. Electric gate repairs epping supply remotes for automated garage doors and automated gate opener systems. We recommend the leading remote opener, SEA, but we also supply and fit new or replacement parts. 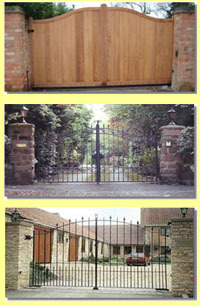 We repair all models of electric, automatic gates, repairs are carried out by qualified personnel.